Although it’s possible to study the genes in mice or in human cells, Kim says it's extremely laborious and expensive. He thinks fruit flies will offer researchers an easier, faster and cheaper way to study the genes. Type 2 diabetes is characterized by the body’s inability to properly create or respond to insulin, a molecule that regulates blood sugar. Practically all animals, including fruit flies, use insulin to control how they metabolize sugar. And while flies may seem a far cry from humans, Kim says they are a reasonable experimental stand-in for studying the disease. To study diabetes in flies, Kim first needed a way to monitor the insulin in the tiny creatures' blood. Kim and his team figured out how to add a molecular label to fruit fly insulin that allowed them to reliably measure very low levels of insulin in extremely small samples of fly blood. They are now using this technique to study different risk genes associated with Type 2 diabetes. In the current study, they examined two such genes. One gene controlled how much insulin was produced in the fly, while the other regulated the amount of insulin circulating in the fly’s blood. These results provide useful information about how each gene could uniquely relate to diabetes. 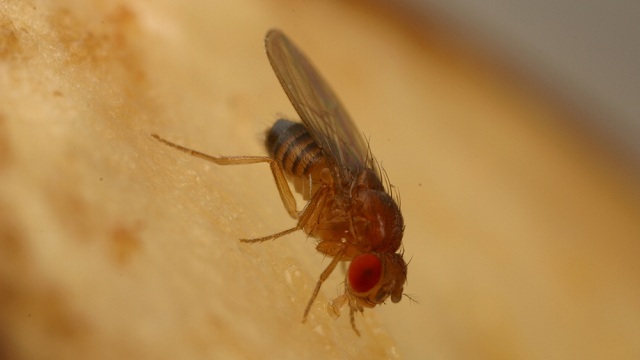 “I think this a very nice example of using the power of Drosophila [fruit fly] genetics to try to gain insights into human disease,” said Michael German. German is the Clinical Director of the UCSF Diabetes Center and was not involved in the study. German points out that fruit flies are just the first step toward figuring out how diabetes works in humans. 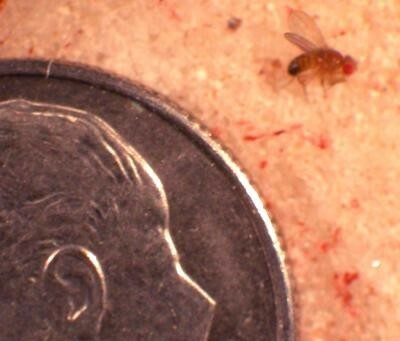 “Ultimately anything that you find out from flies you then have to confirm in mammals and in humans,” he said. But using flies as an experimental model is a good starting point. Moving forward, Kim will use his fruit fly system to study the many human genes associated with Type 2 diabetes. His experiments will help researchers prioritize which genes to focus on in more challenging experimental systems -- such as mouse and human cells -- to ultimately develop new approaches to treating diabetes.